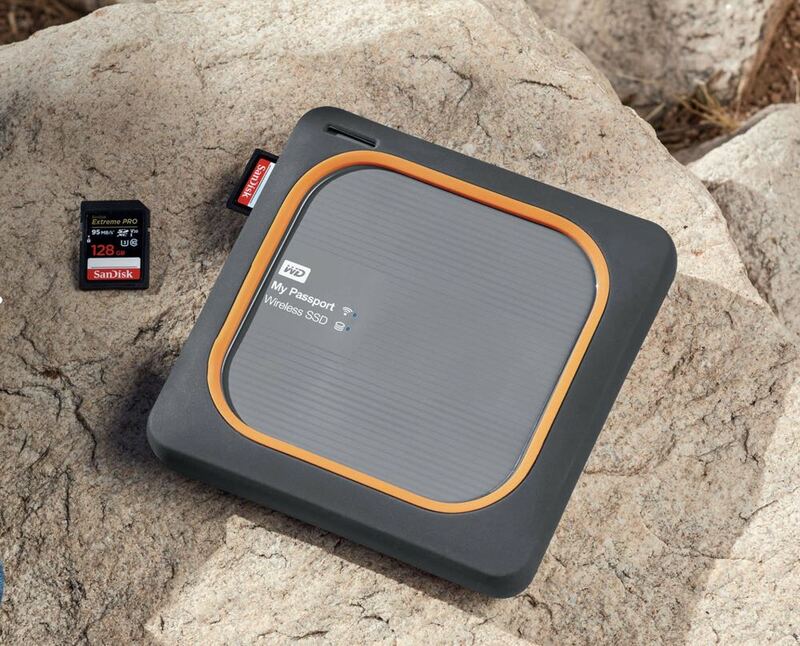 One of the challenges for photographers and videographers in the field is backing up their memory cards but the new WD My Passport Wireless SSD has come to the rescue. 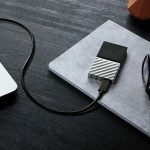 The My Passport Wireless SSD is an all-in-one device that has a built in SD card reader so users can upload their photos and videos into the portable drive’s memory on the go. 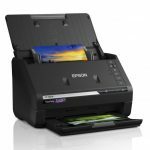 You can even connect an external card reader and the drive will still ingest all the content from any of the cards it supports. 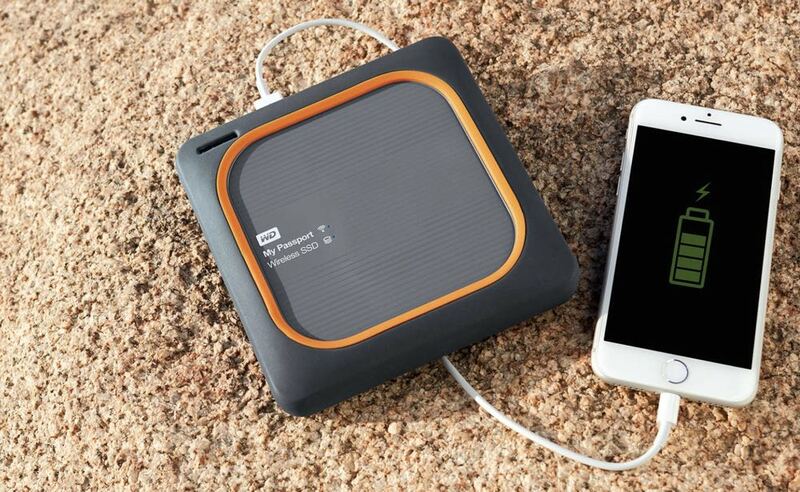 The device is square and is 13.5 cm on each side so it’s small enough to take anywhere. 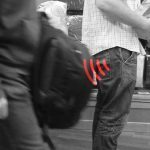 It’s also built to travel with a protective rubber bumper providing protection from drops of up to 1m, shocks and vibration. 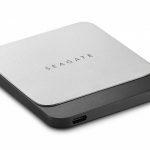 What also helps is the fact the onboard storage is a Solid State Drive (SSD) which has no moving parts rather than a spinning platter like a regular hard drive which could get damaged if dropped. There is also an on/off button and an SD/battery button that can both initiate the SD card copying or check the battery level. What you won’t find is a USB-C port despite it becoming a more common and faster way of connecting. 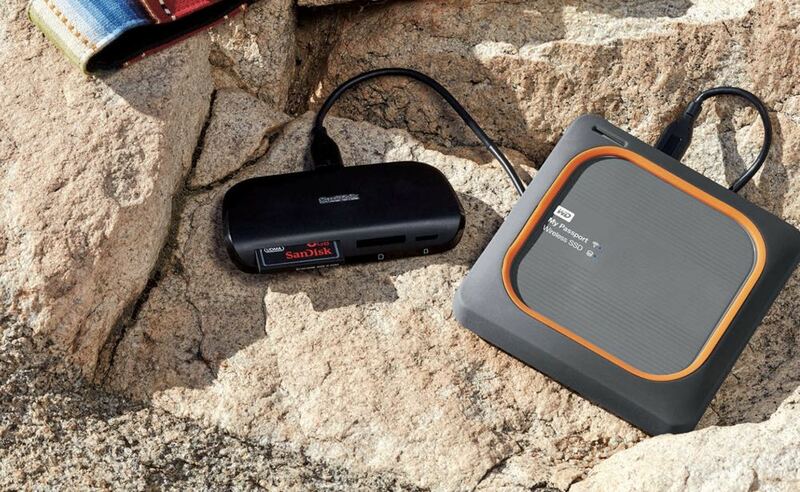 The WD My Passport Wireless SSD also has a USB port and cable so it can be attached to a computer like a normal external hard drive and offer transfer speeds of up to 390MB/s when connected through a USB 3.0 port. The unit also has its own wireless network so users can view their photos or stream up to 4K video wirelessly on their mobile devices through the My Cloud app. The app will be able to preview and download the content on the drive as well as view the images and videos that are onboard. There is also support for RAW images which can be previewed on your phone or tablet. It will also work wirelessly with other third part apps like FiLMiC Pro and LumaTouch. 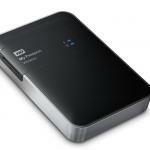 Also under the hood is a rechargeable battery that will run for up to 10 hours on a single charge. There’s even enough battery power to charge up your other mobile devices like smartphones and tablets through the WD My Passport Wireless SSD’s USB port. 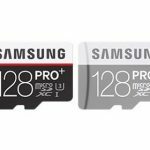 This is an ideal product for a photographer, videographer and drone pilot who are on a shoot and saving their shots on a memory card. 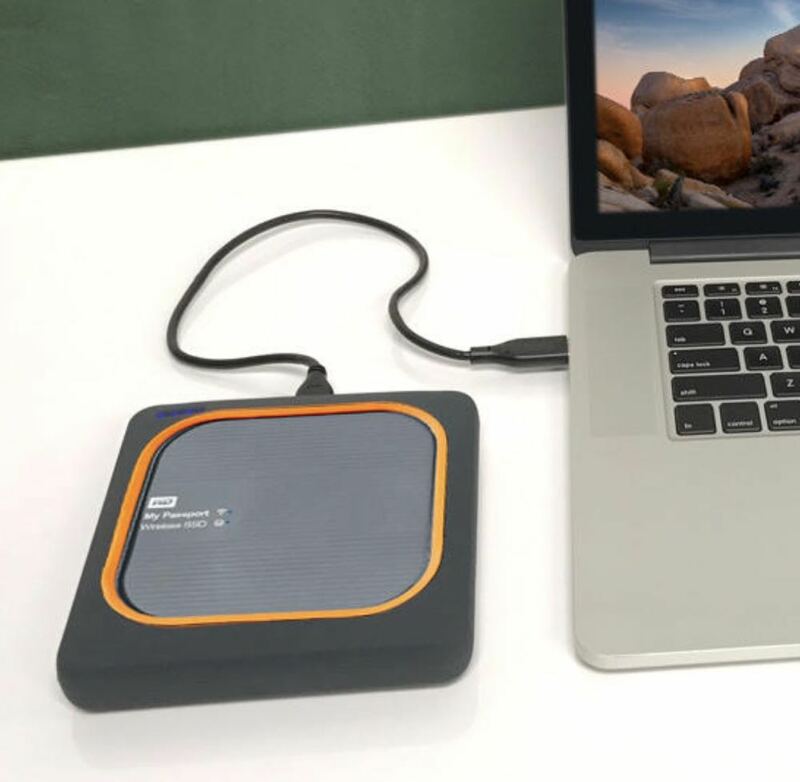 Now rather than stopping and downloading all the images with a laptop, users have the option of saving their shots to the WD My Passport Wireless SSD without the need for a screen or additional software. It is also possible through the app to link to your cloud services like Dropbox, OneDrive and Google Drive but this is just as easy to do through your computer as well as a lot faster than the going through the drive. 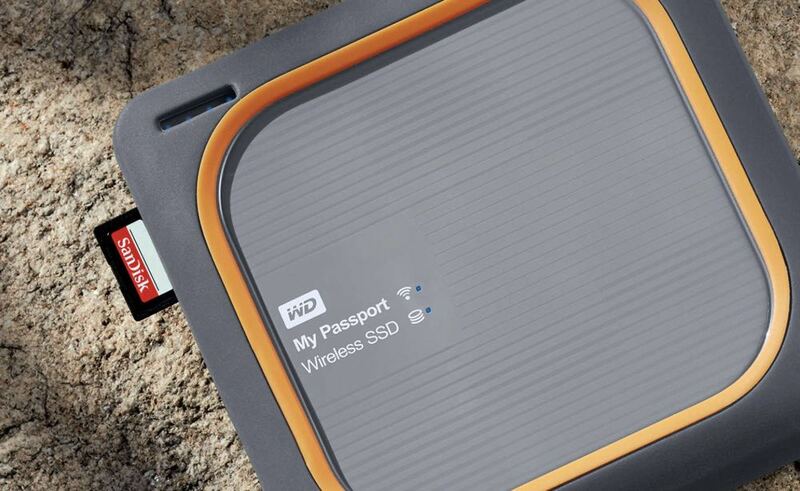 The WD My Passport Wireless SSD is priced at $429 for 250GB, $529 for 500GB, $849.99 for 1TB and $1,399.99 for 2TB. 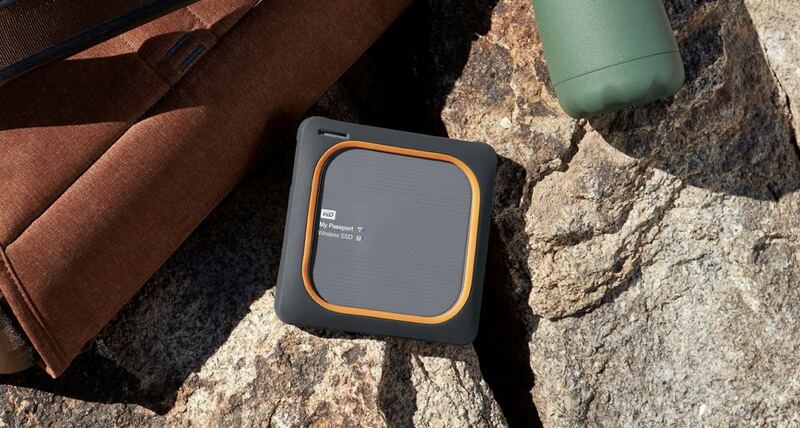 The WD My Passport Wireless SSD is a valuable piece of hardware for anyone creating content on the go. It’s nicely designed and can be a lifesaver for anyone creating and working with large files in the field.